SoccerXpert.com(TM) service (the "Service") and its affiliate sites (the "Sites") are accessible worldwide to anyone with Internet access. Access to and use of the Service and the Sites are subject to the terms and conditions of this User Agreement and Copyright Notice and all applicable laws and regulations, including laws and regulations governing copyright and trademark. BY ACCESSING THE SERVICE AND THE SITES, YOU ACCEPT, WITHOUT LIMITATION OR QUALIFICATION, ALL OF THE TERMS AND CONDITIONS IN THIS USER AGREEMENT. SoccerXpert.com and its affiliates reserve the right to change these terms and conditions at any time. The changes will appear on this screen. By using the Service and the Sites, you agree in advance to accept any changes. The materials used and displayed on the Service and the Sites, including but not limited to text, software, photographs, graphics, illustrations and artwork, video, music and sound, and names, logos, trademarks and service marks, are the property of SoccerXpert.com or its affiliates or licensors and are protected by copyright, trademark and other laws. Any such content may be displayed solely for your personal, non-commercial use. 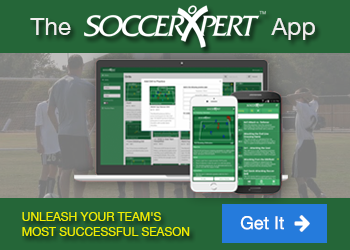 You agree not to modify, reproduce, retransmit, distribute, disseminate, sell, publish, broadcast or circulate any such material without the written permission of SoccerXpert.com or the appropriate affiliate. The Service and the Sites contain information, facts and opinions from various individuals and organizations. THE SERVICE AND THE SITES ARE PROVIDED ON AN "AS IS" BASIS WITHOUT WARRANTIES OF ANY KIND, EITHER EXPRESS OR IMPLIED, INCLUDING BUT NOT LIMITED TO WARRANTIES OF TITLE OR IMPLIED WARRANTIES OF MERCHANTABILITY OR FITNESS FOR A PARTICULAR PURPOSE, OTHER THAN THOSE WARRANTIES WHICH ARE IMPOSED BY AND INCAPABLE OF EXCLUSION, RESTRICTION OR MODIFICATION UNDER THE LAWS APPLICABLE TO THIS AGREEMENT. NEITHER SOCCERXPERT.COM NOR ITS AFFILIATES ENDORSE OR ARE RESPONSIBLE FOR THE ACCURACY OR RELIABILITY OF ANY OPINION, ADVICE OR STATEMENT ON THE SERVICE OR THE SITES. The information, facts, and opinions provided are no substitute for professional advice. Always consult your primary care physician for any medical advice, diagnosis, or treatment and before undertaking a new diet or exercise plan. This Service and the Sites are for informational purposes and should be used in conjunction with health care professionals. The Service and the Sites include bulletin boards, chat rooms and other user and member created pages which allow you and other users and members to post information, provide feedback to SoccerXpert.com and its affiliates, and interact in real-time. You agree not to post or transmit any unlawful, harmful, threatening, abusive, harassing, defamatory, vulgar, obscene, profane, hateful, racially, ethnically or otherwise objectionable material of any kind, including, but not limited to, any material which encourages conduct that would constitute a criminal offense, violate the rights of others, or otherwise violate any applicable local, state, national or international law. You will be responsible for, and indemnify and hold harmless SoccerXpert.com, its subsidiaries, divisions, affiliates, agents and representatives against, any claim arising from any material that you post or transmit. Although SoccerXpert.com and its affiliates may from time to time monitor or review discussions, chats, postings, transmissions, bulletin boards and other user and member generated pages on the Site, neither SoccerXpert.com nor its affiliates is under any obligation to do so. You acknowledge that SoccerXpert.com and its affiliates do not control the information available on the bulletin boards, chat rooms and other user and member generated pages and that any opinions, advice, statements, services, offers or other information or content presented or disseminated on any bulletin board, chat room or on any other user or member generated pages are those of their respective authors who are solely liable for their content. SoccerXpert.com and its affiliates reserve the right, in their sole discretion, to edit, refuse to post or remove any material submitted to or posted on the chat rooms, bulletin boards or on any other user or member generated pages. Your use of the Service and the Sites is at your own risk. NEITHER SoccerXpert.com, NOR ANY OF ITS SUBSIDIARIES, DIVISIONS, AFFILIATES, AGENTS, REPRESENTATIVES OR LICENSORS SHALL BE LIABLE TO YOU OR ANYONE ELSE FOR ANY LOSS OR INJURY OR ANY DIRECT, INDIRECT, INCIDENTAL, CONSEQUENTIAL, SPECIAL, PUNITIVE OR SIMILAR DAMAGES ARISING OUT OF YOUR ACCESS OR USE OF, OR YOUR INABILITY TO ACCESS OR USE, THE SERVICE AND THE SITES AND THE INFORMATION AVAILABLE ON THE SERVICE AND THE SITES OR ARISING OUT OF ANY ACTION TAKEN IN RESPONSE TO OR AS A RESULT OF ANY INFORMATION AVAILABLE ON THE SERVICE AND THE SITES. YOU HEREBY WAIVE ANY AND ALL CLAIMS AGAINST SoccerXpert.com AND ITS SUBSIDIARIES, DIVISIONS, AFFILIATES, AGENTS, REPRESENTATIVES AND LICENSORS ARISING OUT OF YOUR USE OF THE SERVICE AND THE SITES AND THE INFORMATION AVAILABLE THEREON. Any communication or material you post or transmit to the Service and/or the Sites is, and will be treated as, non-confidential and non-proprietary. You assume full responsibility for anything you post or transmit, and you grant SoccerXpert.com and its affiliates the right to edit, copy, publish and distribute any information or content you post or transmit for any purpose. SoccerXpert.com and its affiliates do not review or monitor any web sites linked to the Service and the Sites and are not responsible for the content of any such linked web sites. Your use of such web sites is at your own risk. You acknowledge that the use of any advice, opinion, recommendation, statement or other information displayed, link to, or distributed through the Service and the Sites is at your own risk. Prior to purchasing any third party products or services described on the Service and the Sites, you are advised to verify pricing, product quality and other information necessary to make an informed purchase. Neither SoccerXpert.com, nor any of its subsidiaries, divisions, affiliates, agents, representatives or licensors shall have any liability arising from your purchases of third party products or services based upon the information provided on the Service and the Sites.